Although the Pharmacopoeias provide some information relative to visual inspections of parenterals, there is no substantial GMP regulation - neither in the Europe nor in the US. As a result there are ongoing discussions with regard to issues like AQL testing, use of testing kits, qualification/validation/verification of automated systems and training of the manual visual inspection staff. For that reason the ECA Foundation established its "Visual Inspections" Working Group in December 2013. 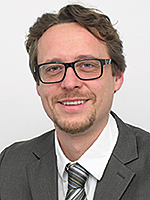 Now the group announced the nomination of Dr Tobias Posset as Chair. for 7 years and is currently heading the production support unit in the pharma production. His responsibilities include the in-process control, the particle laboratory, the automated visual inspection machines and the coordination of the manual inspection training. The "Visual Inspections" Working Group was founded in December 2013. Its goal is to take advantage of the long lasting experience and knowledge of its members and to benefit from learnings from previous courses and conferences to contribute to a harmonisation and to generate a best-practice-paper. Much rather than a strict requirement document, this paper is intended to be a reference for controversial issues, though. After completion of the first version of the best practice paper and presenting it in Copenhagen at the ECA Academy Conference Particles in Parenterals end of September 2014, it is planned to convert the working group into an interest group, open for all ECA members. The interest group members are then invited to provide their feedback to further develop the paper. Please see the Visual Inspections Working Group Website for further information.